Like most great online discoveries, it was boredom that led David Purdy to Wikipedia back in 2006. Six years later, of the 35 million registered Wikipedia users the world over, fewer than 50 have created more articles. Purdy has more than 4,500 individual articles and 130,000 edits to his name. “It was the peak of the oil boom and there were drive-by hirings,” he says. “My supervisor was constantly getting promoted and being replaced by someone else … no one really cared about the work term student. Raised in Paradise, N.L., Purdy ultimately wasn’t destined for engineering. 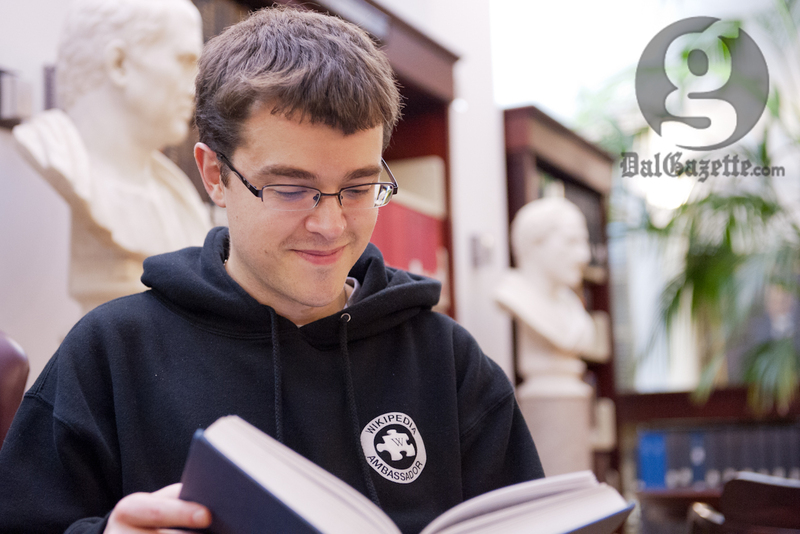 After four years of engineering at Memorial University he transferred into English literature. He then earned an M.A. in literature from Acadia University, and now teaches the history of science and technology tutorial at the University of King’s College. Launched in 2001, Wikipedia is a collaboratively edited, online encyclopedia. Changes are instantly updated and any user is able to make edits to the more than 23 million articles. Purdy is one of a few hundred senior editors on Wikipedia known as administrators. The administrators’ symbol is a mop, for two reasons. Firstly because of the extra tools they have to “clean up things that most people can’t clean up”—for example, deleting or moving articles, or editing locked pages. Purdy estimates he spends a couple of hours every day editing on Wikipedia. And he hasn’t earned a cent for it. But there are alternative rewards. Editors can give their peers “barnstars” in recognition of especially commendable activity. One of Purdy’s proudest moments was being presented a “barnstar of civility” following an editorial disagreement that was resolved in a particularly courteous and respectful manner. That’s one of the reasons he’s stuck with Wikipedia. “I spent months and months writing my theses,” says Purdy. “And I’m very pleased with them, but maybe six people read them. Maybe. And it’s unlikely that anyone else ever will. But as soon as I create a Wikipedia article several people read it. And if I get it up on the main page at least hundreds of people will read it, most likely thousands. As for the future, Purdy has no plans on slowing down.